We’re excited to participate in Bitcoin not Bombs‘ launch at Bitcoin 2013: The Future of Payments (“BitCon” for short). 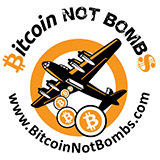 Bitcoin not Bombs’ goal is to launch non-profit organizations into the Bitcoin economy. 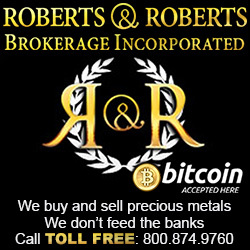 They’ve helped Fr33 Aid navigate various Bitcoin technologies and integrate them into our website, and they helped publicize our decision to become a bitcoin-based non-profit organization a few weeks ago. As if that weren’t enough, our friends at Bitcoin not Bombs also designed some awesome shirts showing the power of Bitcoin to transform the world. 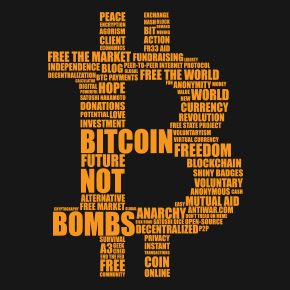 All of the proceeds from these shirts are being split among the three Bitcoin not Bombs’ partner organizations that will be present at BitCon: Fr33 Aid, Anti-war.com and the Free State Project. 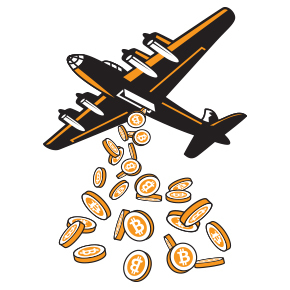 One of the designs shows a bomber releasing bitcoins. This design makes me think of all the Bitcoin enthusiasts I’ve met– people who couldn’t wait to be the first to donate to our new Bitcoin address, people who were proud to stand by us even when most of the 750+ comments on the Huffington Post’s coverage of our decision were negative, people like our friends at Bitcoin not Bombs, who spread their love for non-profit organizations in the liberty community by helping us with their expertise and donating the proceeds from the sale of these shirts with us. The other design is a cloud of words about Bitcoin, including peace, hope, love, freedom, decentralized, voluntary, anarchy, agorism, and of course also Fr33 Aid. If you would like to join us in wearing a shirt with these awesome designs, or giving one as a gift, please visit our Gift Shop or come see us at Booth 15 at BitCon in San Jose May 17-19. Thank you for your support!